While trying to figure out how much space around dining table you should have, it is important to focus on your room shape and physical dimensions rather than on some decoration tips. It is not possible to say exactly how much space you should have, as all rooms are different — not only in terms of actual dimensions, but also when it comes to decoration theme and furniture layout, which are also incredibly important. And, of course, the major thing to build on is your own comfort. If the room is small and you are going for the corner position to optimise your available space, the more space you have around the dining table, the better. With this example of an interior layout, the best solution would be to fit a square or rectangular table closely into the corner and leave the rest of your room clutter free. In case you need extra seats, you can easily move the table out of the corner to accommodate your guests. Another common arrangement that is perfect for small families. Once again, if you do not need that many seats all the time, just move the table as close to a wall/ window as you can to leave the middle of your room open. 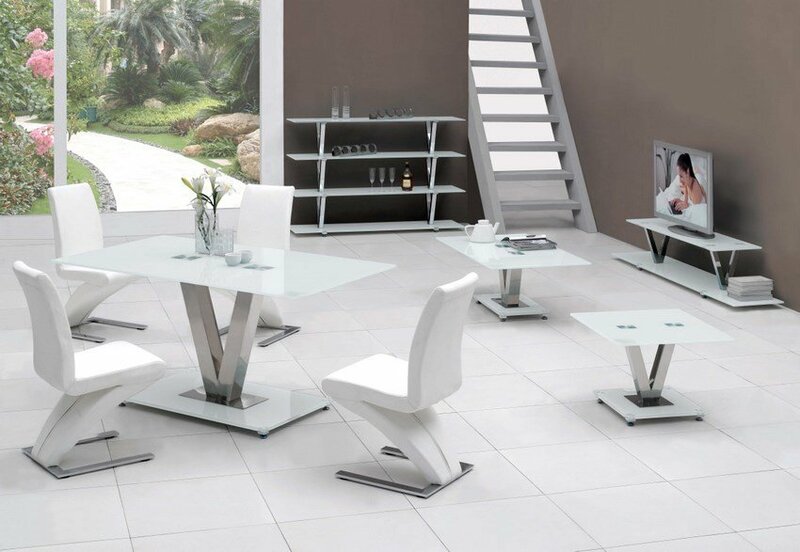 In a big room, a centred position of a dining set will look very impressive. Here, however, you should focus not on the ‘physical’ middle of the room, but rather on the middle in regard to other furniture units. Make sure that the amount of free space from one side of the table to the other furniture units is equal in ‘every direction’. Also, do not forget that decorating a kitchen and a dining room should follow different kind of logic. While a dining set in the middle of a spacious dining room is a great idea, in a kitchen this is not always the best one. 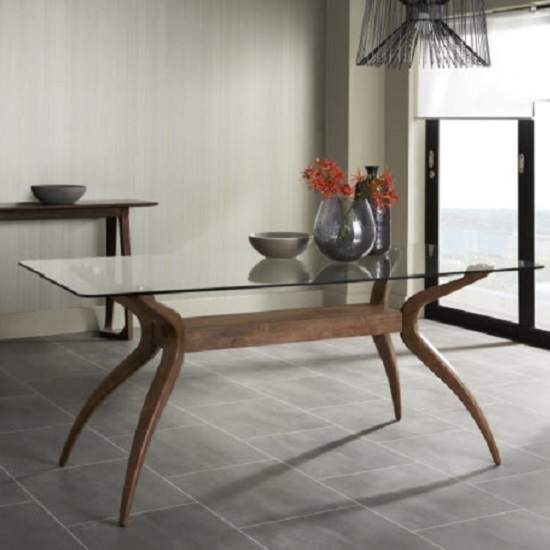 Finally, if you would like to find stylish dining tables that would be of high quality and feature a reasonable price tag, one of the best UK stores that can offer you exactly what you are looking for is Furniture in Fashion . As one of the biggest e-commerce platforms in the country, the company offers not only a very impressive selection of furniture to choose from, it also vouches for the highest quality every single piece it distributes. The store works only with reputable manufactures, which is why every item listed on corporate website is a great example of high quality, impressive durability, and elegant style. Plus, if you would like to see that with your own two eyes before making any conclusions about the purchase, you can personally examine furniture in company showroom in Farnworth.